WASHINGTON -- The National Transportation Safety Board released images from a camera on Amtrak train 188, showing the moments of the May, 2015 crash in Philadelphia that left eight people dead. The train was bound for New York City. The images show the train heading into a turn in the Port Richmond section of the city, where it would derail. 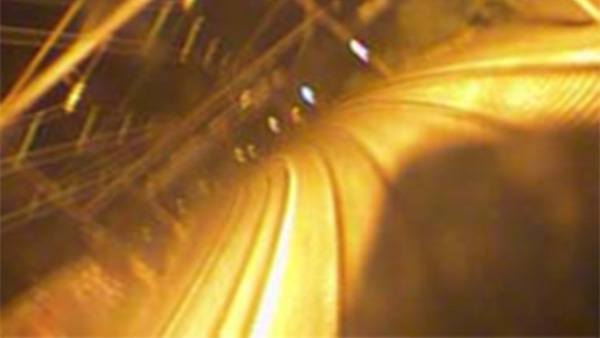 At one point, the picture goes completely white, only to return to show the train's final moments. The NTSB released images from a camera onboard Amtrak 188, which crashed in Philadelphia in May, 2015, killing 8 people. Those pictures were released on Monday along with dozens of other photos and reports related to the crash investigation. Also among the evidence are transcripts of two interviews investigators had with the engineer, Brandon Bostian. Investigators have said previously that Bostian hit his head in the crash and says he doesn't recall what happened. The official stressed that the documents released by the board contain only factual information, rather than analysis or conclusions.